The perfect heart-warming story; funny, sad, slightly scary but with a happy ending. Ten-year-old Sophie begins the adventure of a lifetime when she meets the Big Friendly Giant, who whisks her away from her orphanage to Giant Country. Despite his intimidating appearance, the BFG is a kind-hearted soul considered an outcast by the other giants because, unlike them, he refuses to eat children. Together, Sophie and the BFG go on an adventure to capture dreams for the BFG to give to all of the world�s sleeping children. After travelling to London, Sophie and the BFG must convince Queen Elizabeth to help them get rid of all the bad giants once and for all. Based on Roald Dahl�s book, the film is directed by Steven Spielberg and stars Mark Rylance and Penelope Wilton. 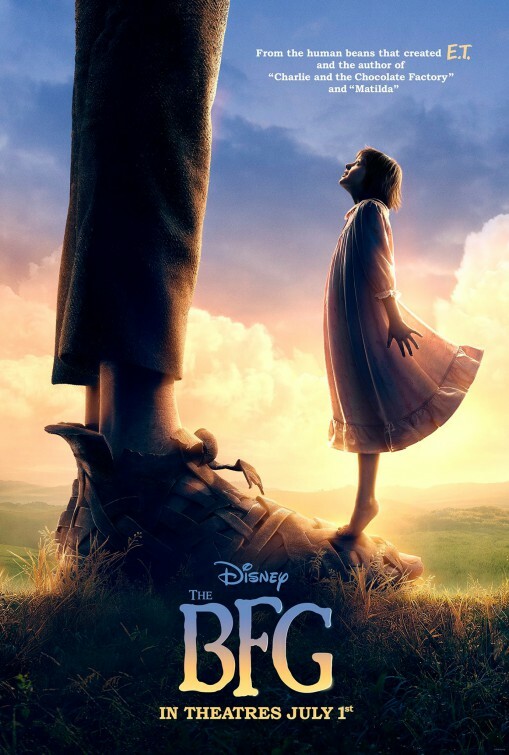 The BFG (PG) - The perfect heart-warming story; funny, sad, slightly scary but with a happy ending.